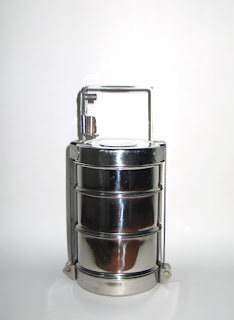 Taste of Baltimore: Tiffin Boxes!!!!!!!!!!!!!! One Sunday I HAVE to go to the Catonsville Atwater's for their Tiffin Box Brunch!!! For $11.95 you choose 1 item from 3 courses and they come in a TIFFIN BOX! oh that's NEAT. pity Catonsville is on the other side of the "world" from me or i'd be all over that. FalnFenix - I know, it will have to be a special trip!